iRealHousewives | The 411 On American + International Real Housewives: Christine McGuinness Husband Paddy McGuinness Has Been Diagnosed With Arthritis And Reveals He Now Has To Take Painful Steroid Injections To Ease Inflammation! Christine McGuinness Husband Paddy McGuinness Has Been Diagnosed With Arthritis And Reveals He Now Has To Take Painful Steroid Injections To Ease Inflammation! Paddy McGuinness has revealed his battle with arthritis at the age of 44. 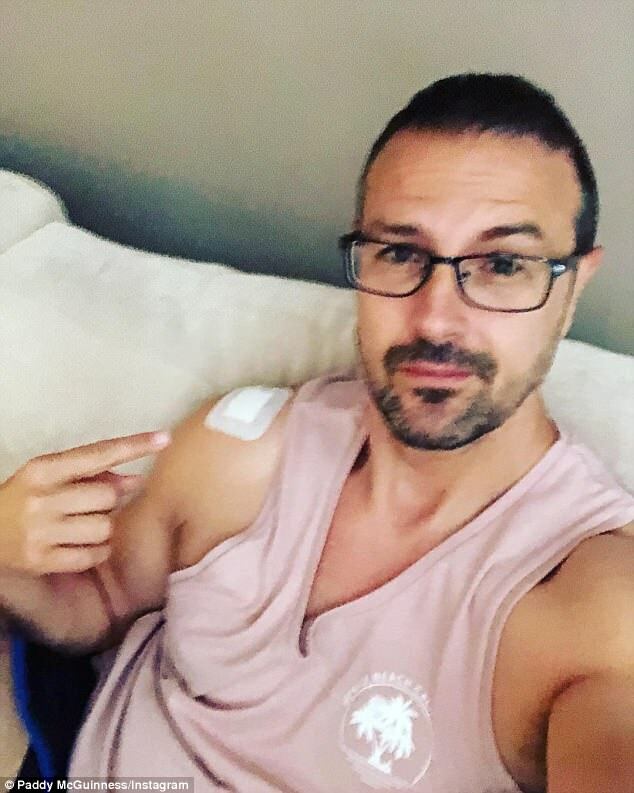 Paddy, who is married to Real Housewives Of Cheshire star Christine McGuinness took to his Instagram on Tuesday morning sporting a large plaster on his shoulder, confirming the medical diagnosis. The Take Me Out host revealed that he now has to take painful steroid injections as a result of the condition. "Morning! Nursing a poorly shoulder today. I had an ultra sound steroid injection in it yesterday. The reason, arthritis? I’m 44! #knackered #shoulderfrigged," he shared. Despite the agonizing injection, he was seen in a relatively good mood as he pointed at the white plaster on his shoulder. Arthritis is a common condition that causes pain and inflammation in joints. It usually develops in adults who are in their late 40s and older. The steroid injections are used to reduce inflammation and provide relief to the joint's structure and function. reports The Daily Mail.